Who do you trust with your health care... Washington D.C. insiders and K Street lobbyists? Shouldn't we trust a doctor instead? ObamaCare has failed. Government mandates have resulted in skyrocketing premiums and fewer choices for care. That's why we need real repeal. Call your Senator today at 202-224-3121 and demand full repeal of ObamaCare, and nothing less. Democrat candidate for U.S. Senate, Jim Gray, stated his support for Hillary Clinton during a candidate debate. How can you be pro-Kentucky but anti-coal? Jim Gray is just another big government liberal who wants to destroy jobs in the name of his party's agenda. Don't let the liberals snuff out the economy of the great state of Kentucky, stand with Rand! Rand Paul is Leading the Fight against the Washington Machine! 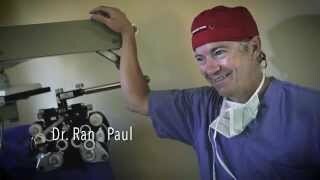 He's an eye surgeon with a passion to serve, and a U.S. Senator with the willingness to fight. 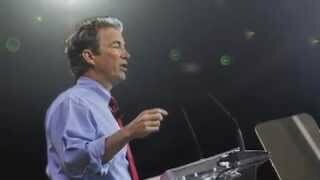 When Rand Paul saw the problems facing our country under President Obama, he took a stand against the Washington Machine... No more failed liberal policies, re-elect Rand Paul to the United States Senate. The Benefits of Being a "Disruptor." Whether it's an idea, a tech breakthrough, or even a Republican; it only takes one individual who's bold enough to take a stand — to change everything. Rand Paul wants to give you a raise. Put more money in your pocket!